Amour Fine Patisserie will make you come for chic Parisian vibes and then make you stay for their array for desserts like macarons and tarts and cafe bites that include croissant sandwich with poached eggs. 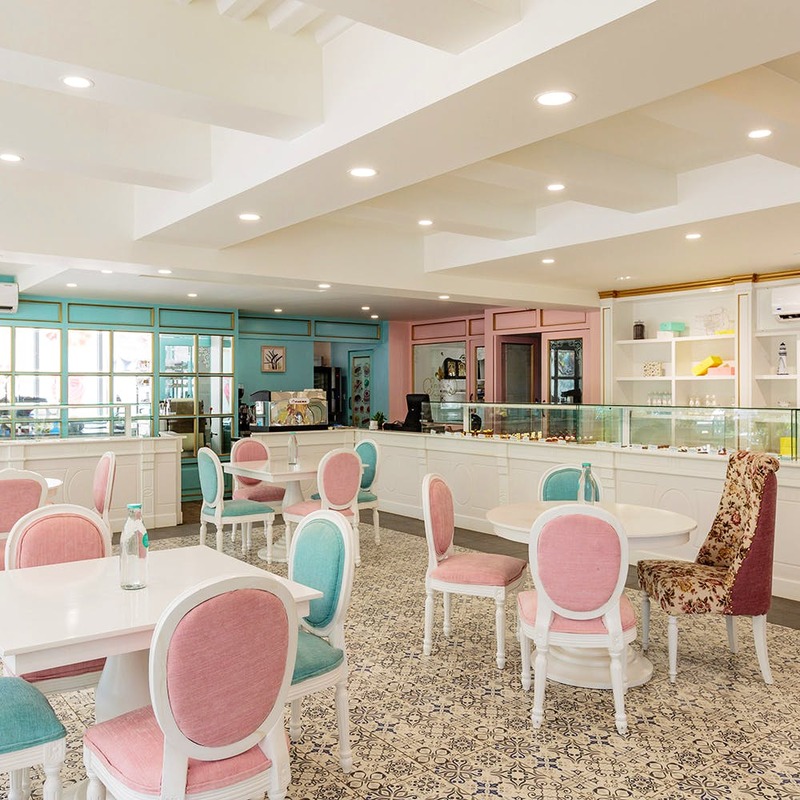 Madames and monsieurs, we must tell you that you will feel like you have stepped into a chic Parisian boulangerie when you visit HSR's Amour Fine Patisserie. You might also feel like talking in French, but resist the urge and proceed to look around you. The interiors are for your feed. If you are going during the daytime, there's a whole lot of natural light flowing in and making the pastel shades of pink and teal that's on the walls and furniture (which are by Home Canvas) really pop out. The plush sofas with their floral add to the chicness while props like a macaron tower and a scale model of the Eiffel Tower complete the Parisian setting. It's as the French would say 'tres beau'! Since it's a patisserie and a boulangerie, the menu is filled with relatable French desserts. Think croissants, macarons with at least seven kinds of filling and tart. If it's too much sweet for you, there's Continental cafe fare of pasta, sandwiches, and apps such as nachos and bruschetta to order. You must, however, try the croissant sandwich with poached eggs. While you wait for your order and coffee, we suggest you take a look around the cafe especially the open kitchen and dessert counter. Everything's made in-house and seeing batches of cookie and croissant will only make you drool. If you didn't get the drift, peeps, this is perfect for dates as well as working out. They have free WiFi.